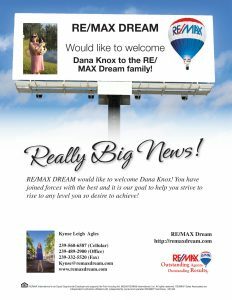 RE/MAX Dream would like to welcome the father daughter team of Doug and Dana Knox! 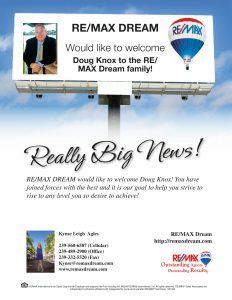 Doug and Dana have been in the Real Estate industry since 2011 and are quite the dynamic duo. If you are looking to buy or sell real estate in the southwest Florida region feel free to contact Doug or Dana and you’ll get assistance from a couple of the best in the business!